The new service year has begun. 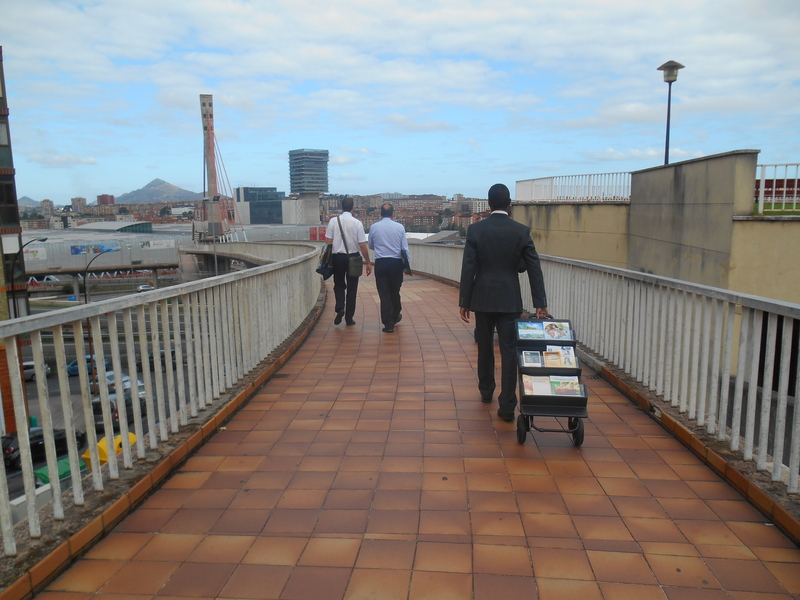 It seems like August just flew by as we were all busy around the world distributing the special jw.org tract. No doubt a lot of great experiences were had by many. 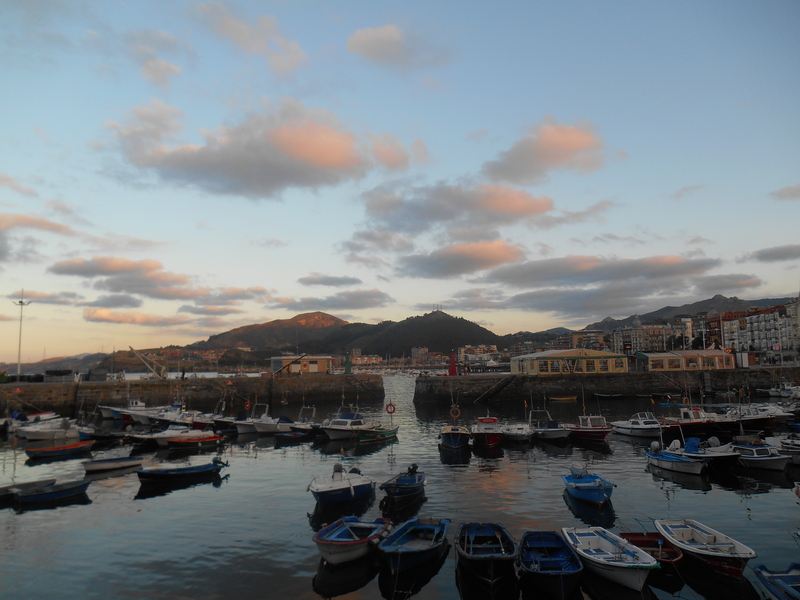 Here in the Basque country was no different. We really liked using the tract in the ministry because it easily opened the door to conversation if the person showed further interest. 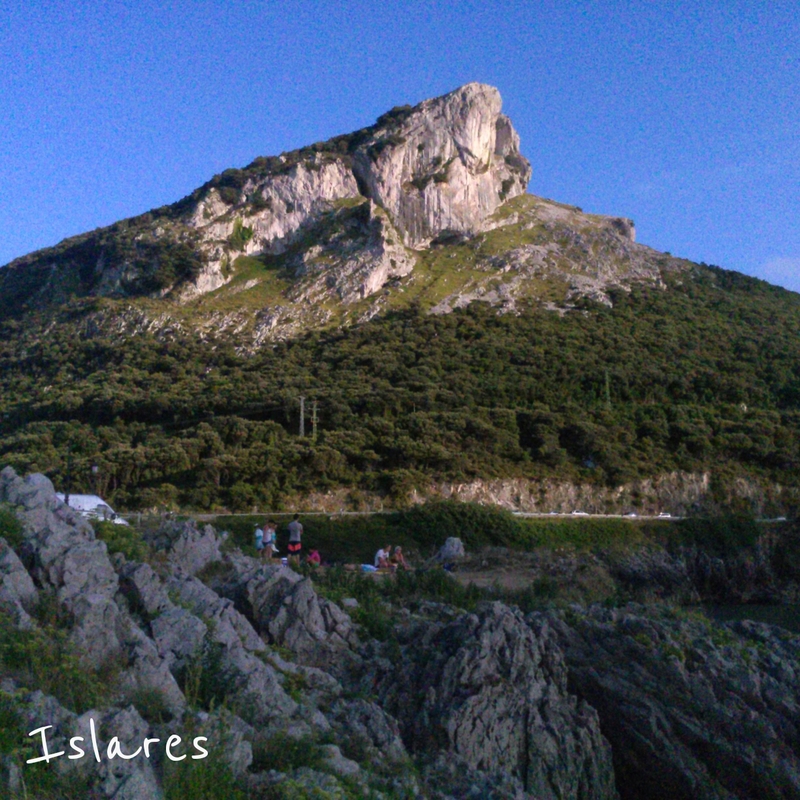 Let us share with you a few nice experiences that we had during the month of August. 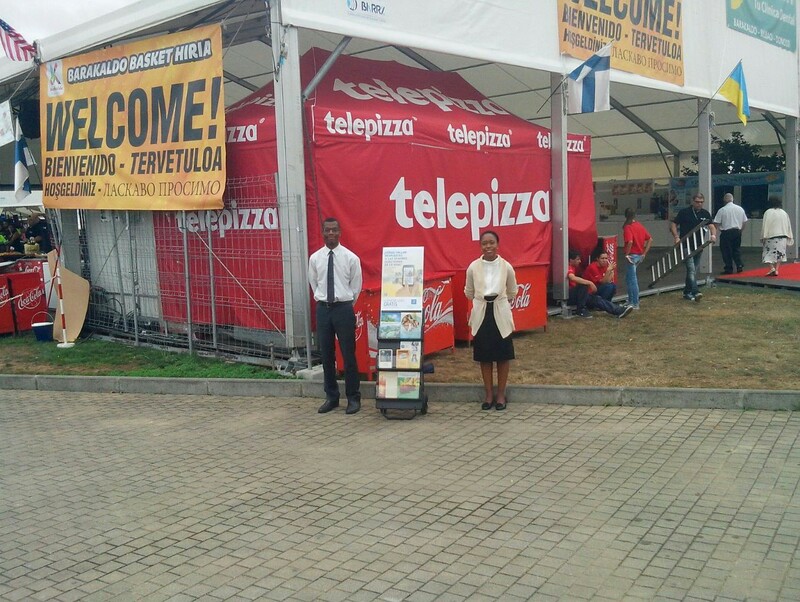 During the week I had gone to a mobile phone shop to activate my account for our new “ministry” phone. This phone would be used solely for the preaching work since many in the territory could call it for free. As I was talking with the clerk helping me with my phone he shared with me that he was from Bangladesh. I took the opportunity to look up on my phone what language they speak in that country. After finding out, I went to jw.org and changed the website to the language spoken in Bangladesh. I showed the clerk the website and told him its purpose. He was really surprised and pleased to see that it was in his language. I told him that he could go on it and obtain publications in his language that provide a positive hope for the future. This was all done in broken English and Spanish since he didn’t speak either of those languages really well. But despite this he received a nice witness! 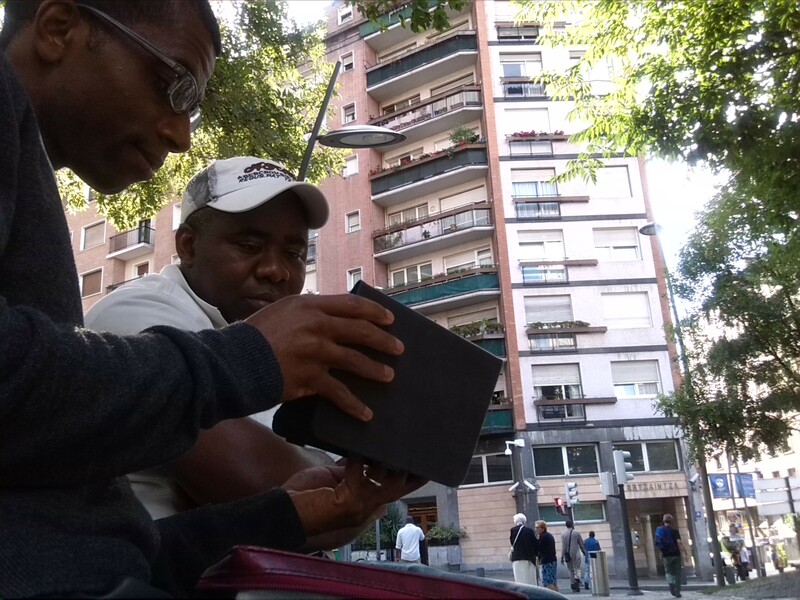 Another day while out preaching early morning, which here in Spain is 9:30am, with another brother we came across a man in the street begging on a Thursday. 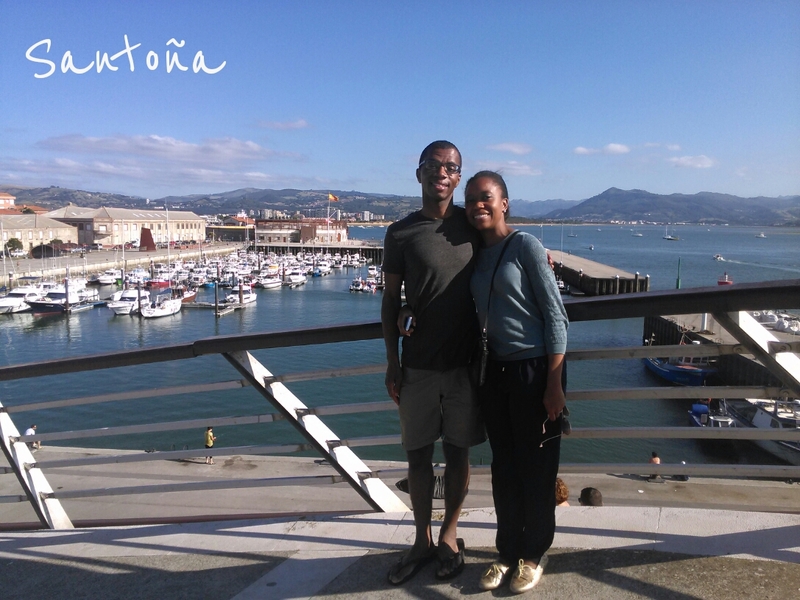 He had only been in Bilbao for about a month having come from the south of Spain. My service partner approached the man and offered him the jw.org tract. The man accepted it and was friendly so my service partner posed the question on the front and the man responded that the answers could be found in the Bible. 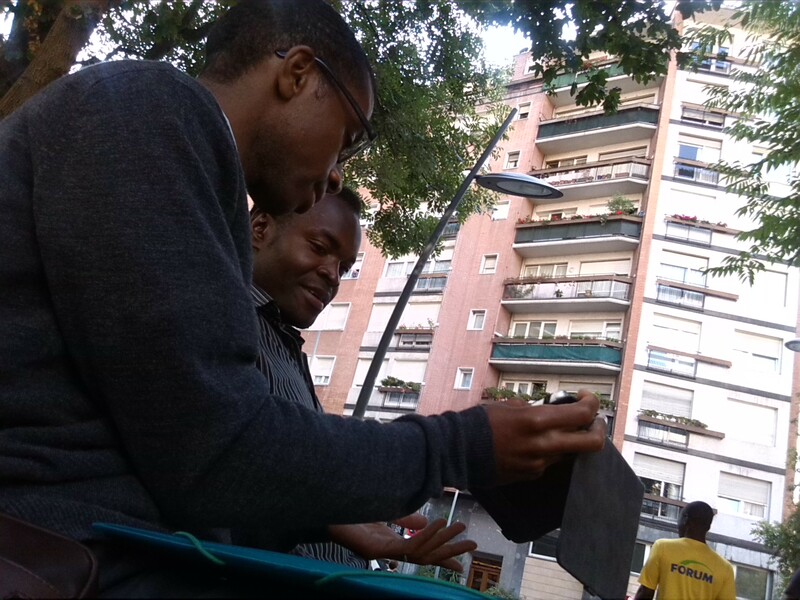 Seeing that this man had an appreciation for spiritual things and was very distraught by world conditions I decided to show him the video ‘Why study the Bible’ on my mobile phone from the JW Library app. 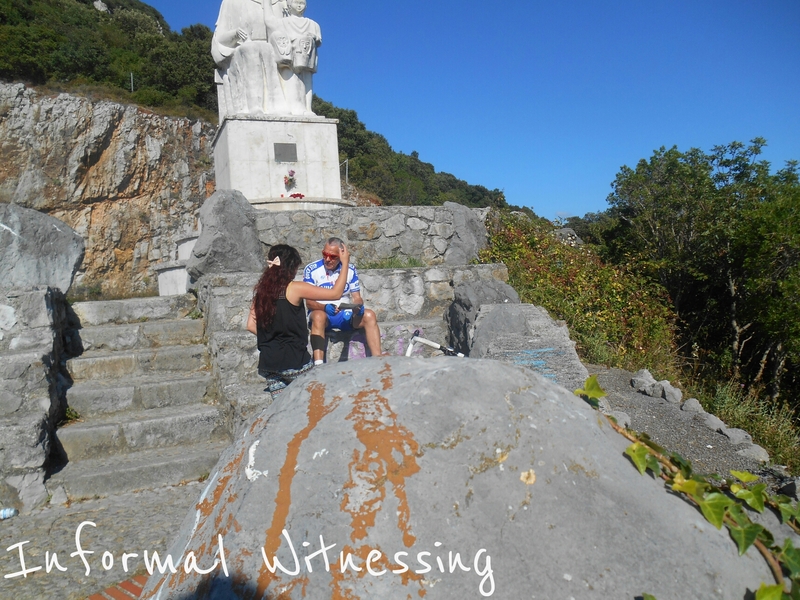 The man watched the video intently as I knelt beside him holding the phone. I could see in his eyes that he was deeply pondering what he was seeing. After watching the video we asked him what he thought and he agreed with the message. I took the opportunity to ask him for his phone number and told him that I would call him to continue the conversation. 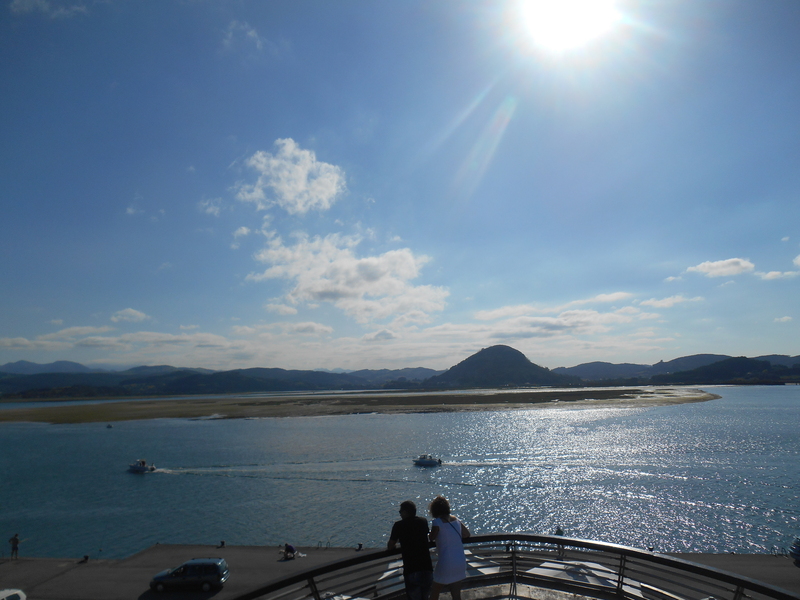 The next day, Friday, I contacted him and arranged to meet him again on Saturday so that I could demonstrate the Bible study arrangement. On Saturday we met and we studied the first question in the Good News brochure and I told him about our public meetings. The next one happened to be on Sunday at noon. He said that he would like to come. So after making arrangements the next day we met at 11am along with another interested person that had agreed to go to the meeting. 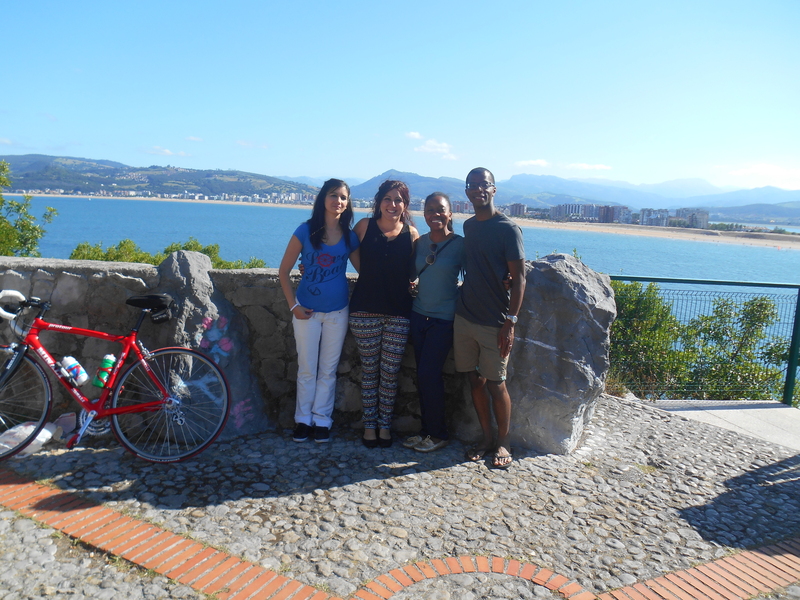 We all caught the bus and arrived to the meeting together. This was the first time for both men attending the meetings of Jehovah’s Witnesses. The man that we had originally met said that the meeting was “Awesome” and that he “liked it too much!” This all happened in a span of only four days! Since that day he has attended every public meeting and has had his study consistently every week. Yesterday he even walked to the meeting on his own, which is easily a distance of over an hour! Jehovah is clearly speeding up the in gathering work and we look forward to seeing how he continues to bless his organization. I’ll let Kanicia tell you about an experience she had. So I have a study that was originally turned over to me when a sister moved away from our congregation. She has been showing a real appreciation for what she is learning. However, of course, she started to get some opposition. I noticed that every time I came to have her study there was a man who was either leaving or coming home at the same time, every week. Well later I realized that this man was not really happy that we were coming to study with her. This didn’t stop her. So her church started arranging visits to her home on the same day we studied at the same time. This happened twice and she canceled our study. Well the third time she asked if I could study at a different location. 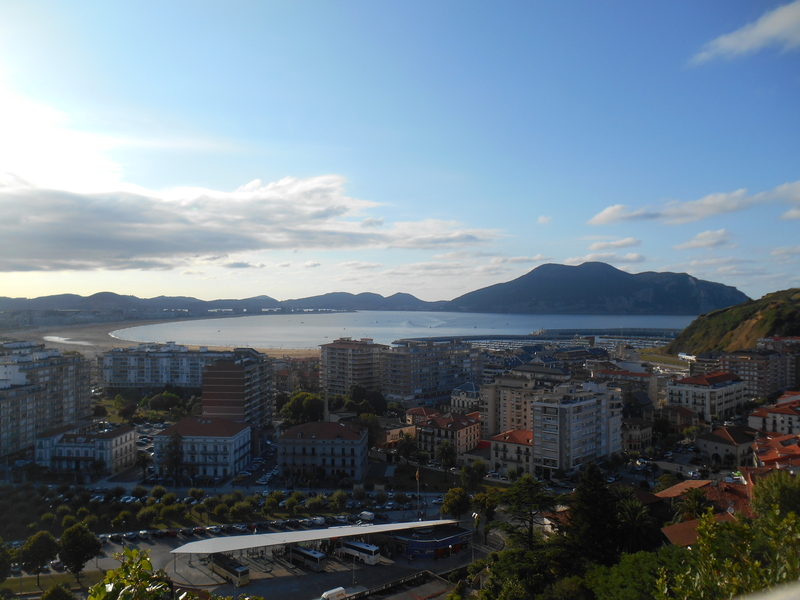 So we met about a week ago and walked to this relatives home. She explained along the way some of the problems she has been having. She is trying to give up a lifestyle that has supported her financially but that she knows is displeasing to God. It hasn’t been easy. She told me how just the day before an organization helped her with some groceries. I wanted to show her that that could be looked at as a blessing, since it was right when she didn’t have any more food. So she starts complaining that she’s not eating because the food she received was not food that she is used to eating. 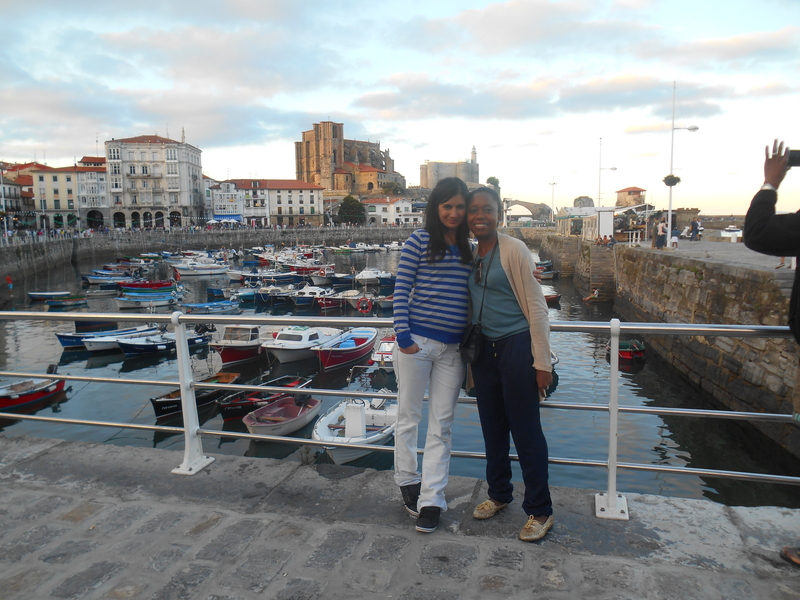 She had received rice, pasta, milk, tomatoes and cheese. She complained that there was no meat! Well of course I didn’t see things the same way. I told her there were plenty of things she could make with those ingredients. I was thinking Italian 🙂 She insisted she could not make anything edible with those ingredients. So I said ‘ok, well when we get to your place show me what you have and I’ll show you something you can make. I think you’ll like it’. She stopped in her tracks and stared at me, ‘ No! You are my bible teacher! You can’t do that for me!’ I smiled and said ‘ I’m also you’re friend and won’t let you starve!’ She just looked and then smiled and said ‘ ok, ok…I’ll eat it!’ She was obviously surprised with my suggestion. Well our study ended up being over two hours! Just this small suggestion moved her to open up and reveal some other issues she was having personally and in her church. I didn’t end up teaching her to cook a meal but it did show me how far personal interest can go! 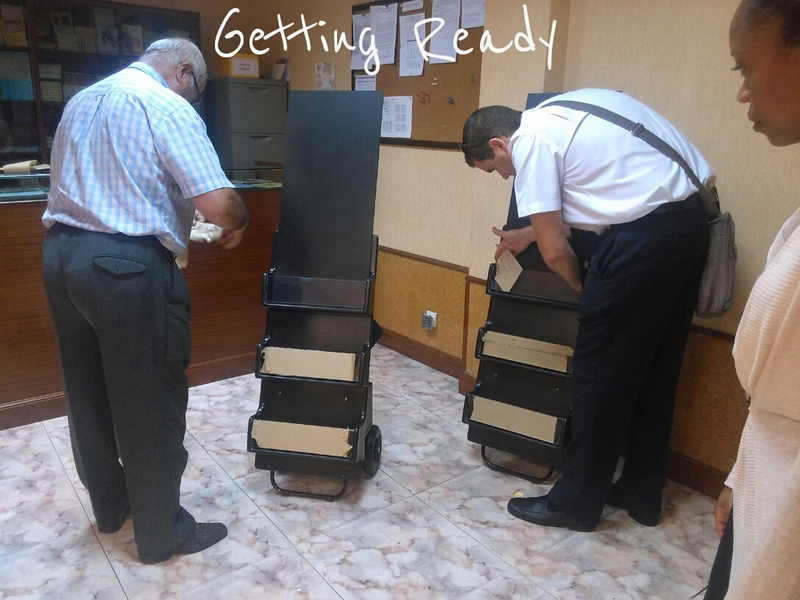 So needless to say we really enjoyed the preaching work last month and as many others have experienced we also ran out of tracts. We also both had a nice privilege in relation to the preaching work during the last weekend of August. Spain is hosting the World Cup of Basketball. 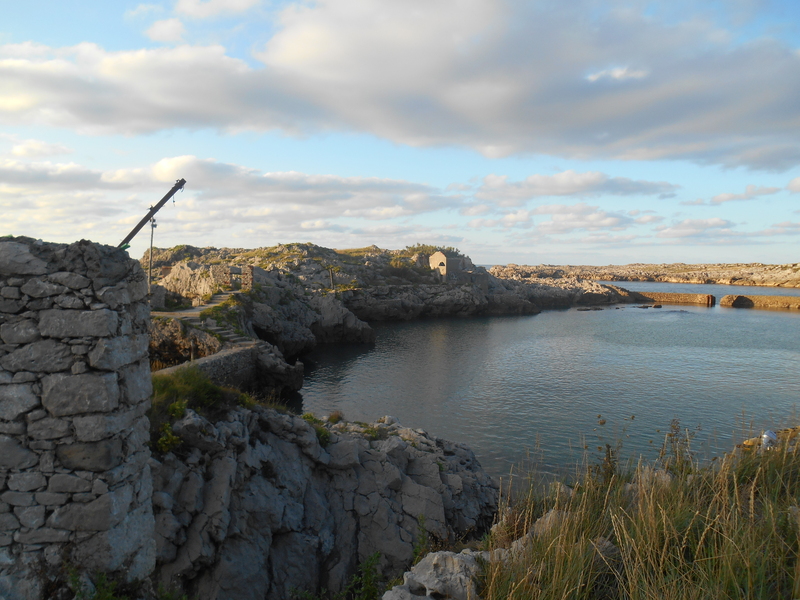 Countries from all over the world will be visiting various parts of Spain to compete in the tournament. 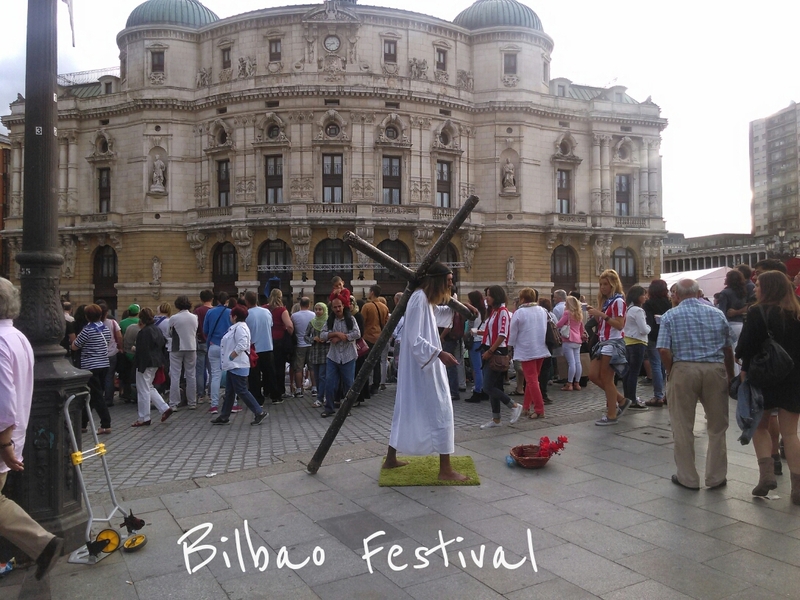 Bilbao has been hosting some of the games as well, expecting to draw crowds up to 20,000 people throughout the tournament. The United States, Finland, Turkey and the Dominican Republic are all here along with their fans. Many of these ones speak English such as the US and Finland and others speak Spanish. 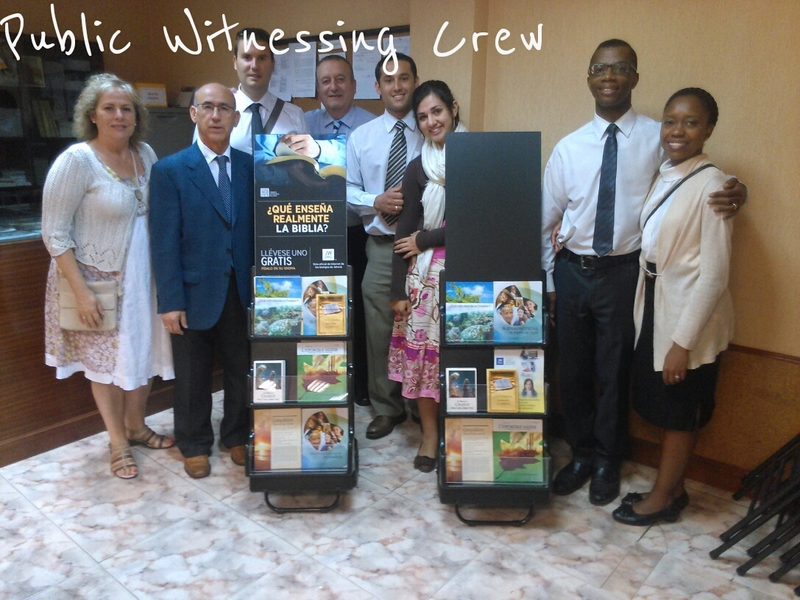 The branch office has organized a public witnessing initiative that will be taking place during the Basketball World Cup. 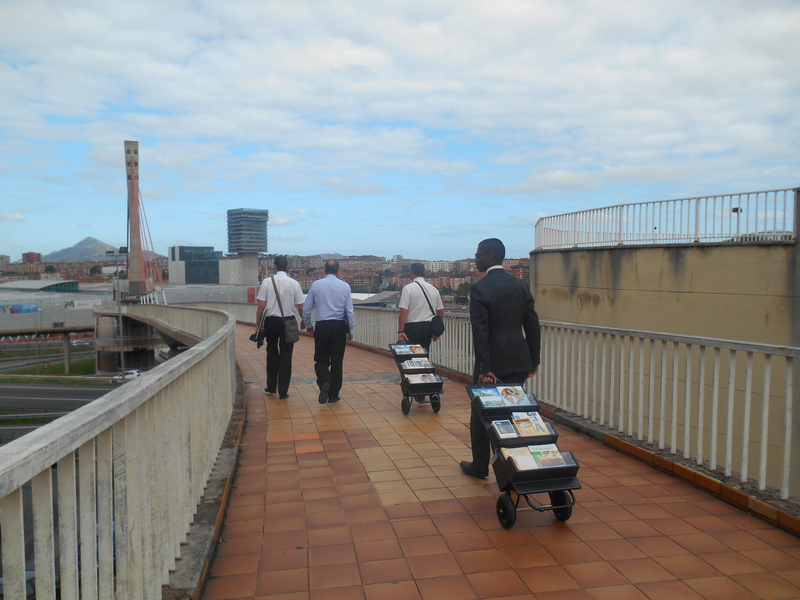 This is the first time that the public witnessing carts have ever been used here in Bilbao so its pretty exciting to be a part of it. A group of about 8-10 brothers and sisters were selected from various congregations to take part. Myself and an elder in our hall as well as Kanicia had the privilege to participate so that we could speak with interested ones in English. There were two special pioneers involved and coordinating the details. It was fun to participate in a different facet of the ministry especially since this is the first time that Kanicia and I got to preach in this way. 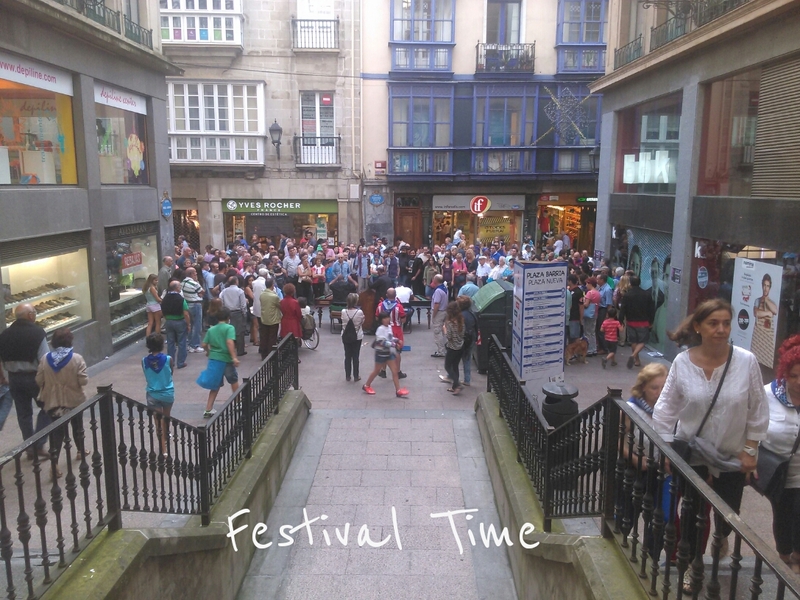 Here in Spain in August it is as if the entire country is having one big festival after another. 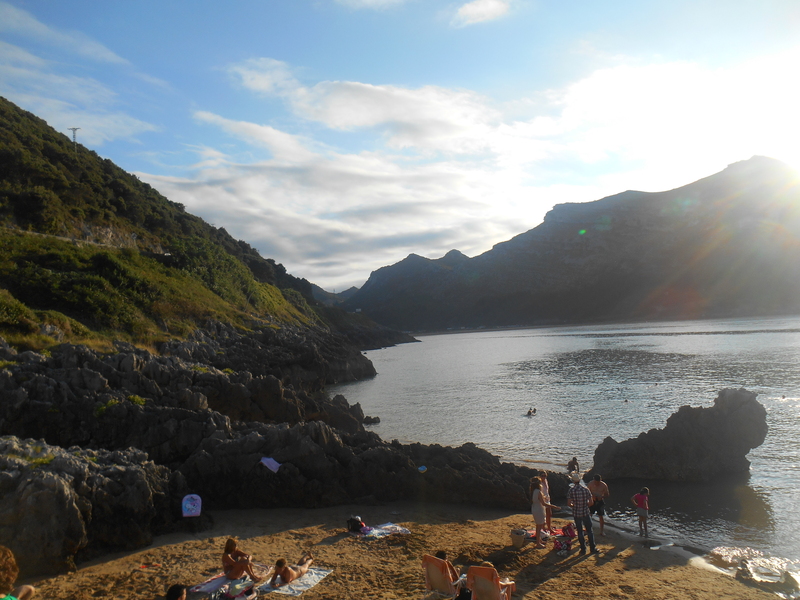 The Basque country is no different. 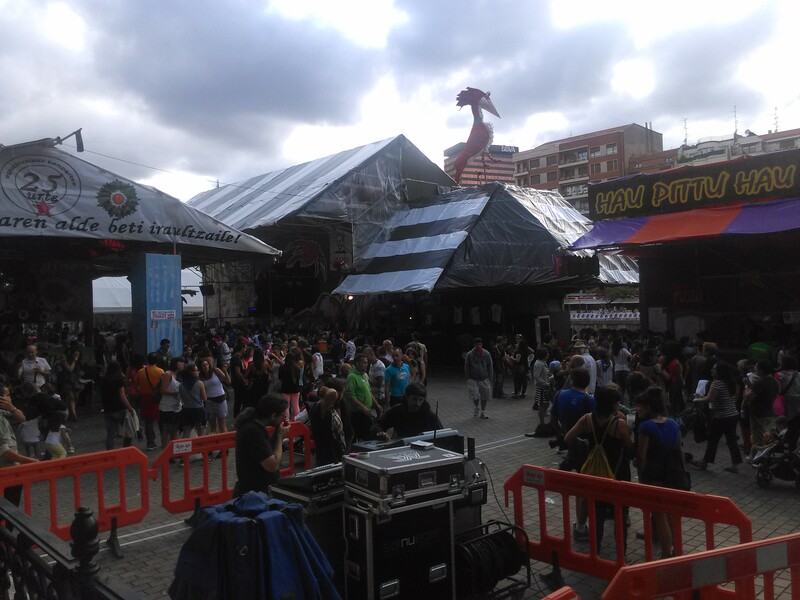 Here in Bilbao during the middle of August they have a giant festival called Aste Nagusia. This festival has musicians, food expos, drink stations and various performances including nightly fireworks starting at 10:45pm. 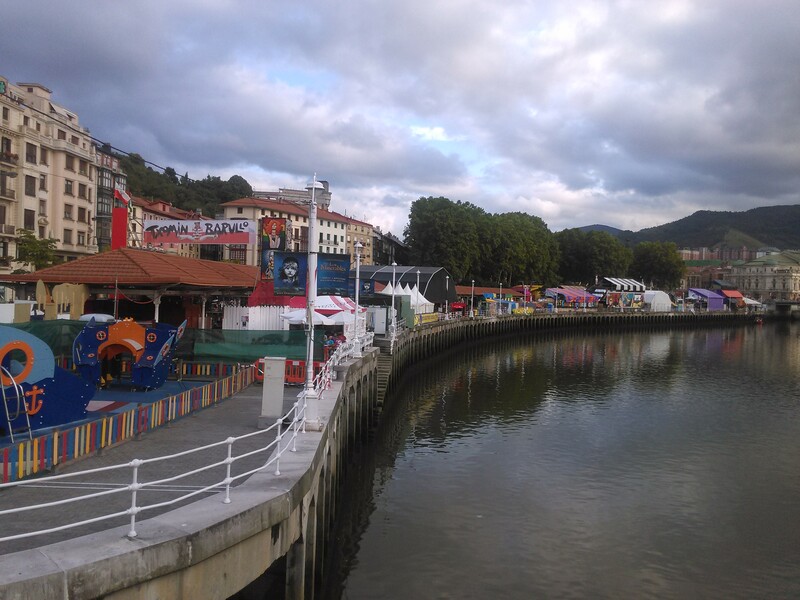 The festival attracts a lot of people from all over the Basque country as well as many tourists. Since we live only a few minutes from where all of the celebrations were taking place we made time to check out one of the days. It was nice to do something different and to also see many families out together enjoying themselves. 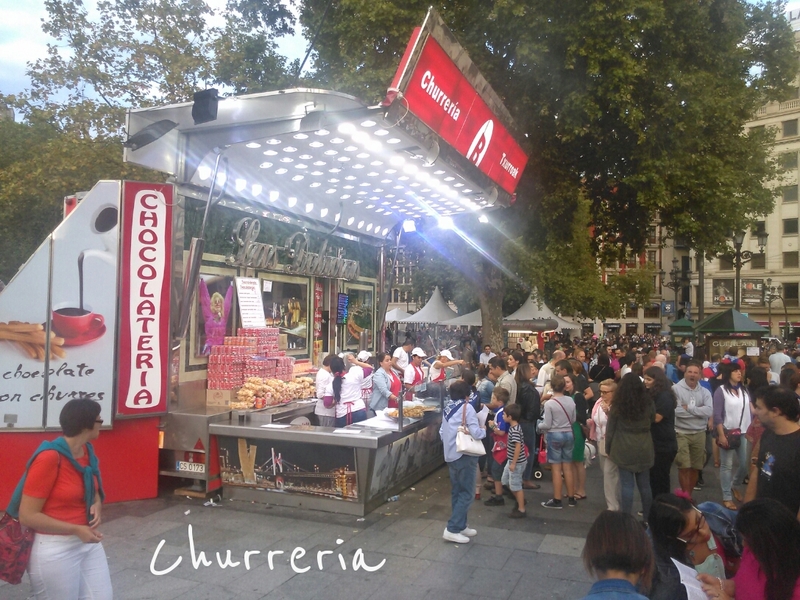 We were also thrilled to see our favorite churreria reopened for the festival. 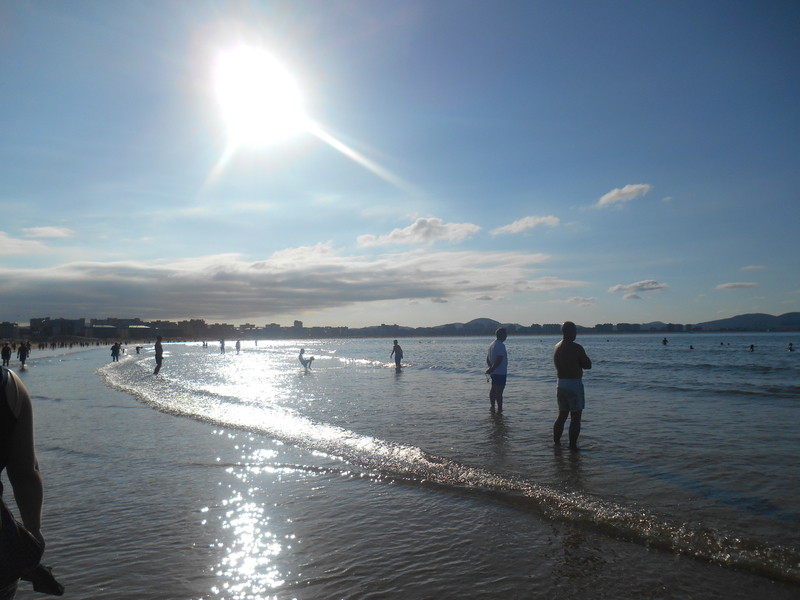 I’ve started working secularly starting around mid August teaching English online. It’s been nice and adjusting hasn’t been too difficult. It is so convenient to not have to leave the house to work and this will be especially the case once winter comes around. When Kanicia was teaching English she was working in the living room but this meant that while she was working I would have to be in the bedroom in order not to make noise which would disturb the class. We had been thinking of ways to convert our bedroom into an office during the week. To do this we would need a small desk and we were really hoping to get a nice office chair which would be way more comfortable than the dinner table chairs that we were using. Well a couple that we know runs a shop where they refurbish items and resell them. They had a desk and chair that would be perfect for our apartment and our office. They gave them both to us for free. 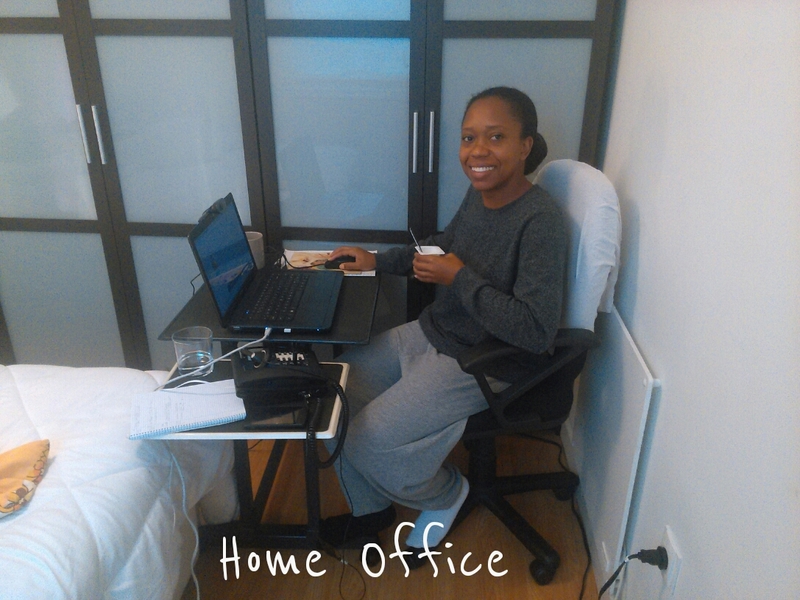 Now we have an ideal home office for work and we couldn’t be happier. With our new schedule we will be working about 15 hours a week and thus we will have plenty of time of time for the ministry and other activities. We are so grateful that Jehovah is blessing our efforts to lead a simple life here and continue trying to put Kingdom interests first! After a year-long pause I have put in my application to rejoin my wife in the full time pioneer ministry starting this month. So Jehovah willing we will be able to both serve him full time which would be great. 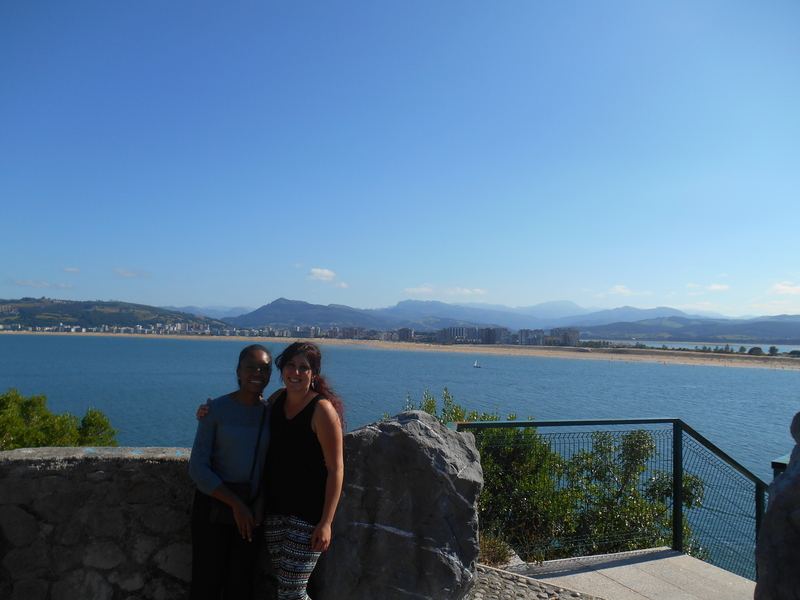 This month we were able to do a day trip with our friend Bath-Sheba and her friend visiting from Valencia. 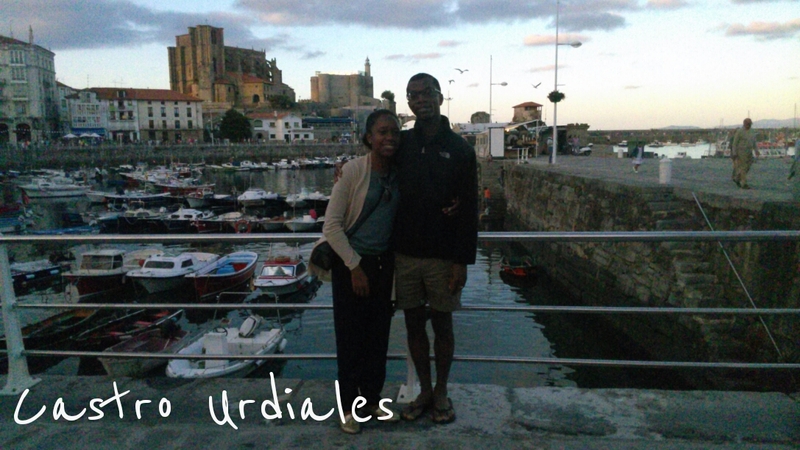 We spent the day in Cantabria visiting Castro Urdibiales, Laredo, Islares and Santona. 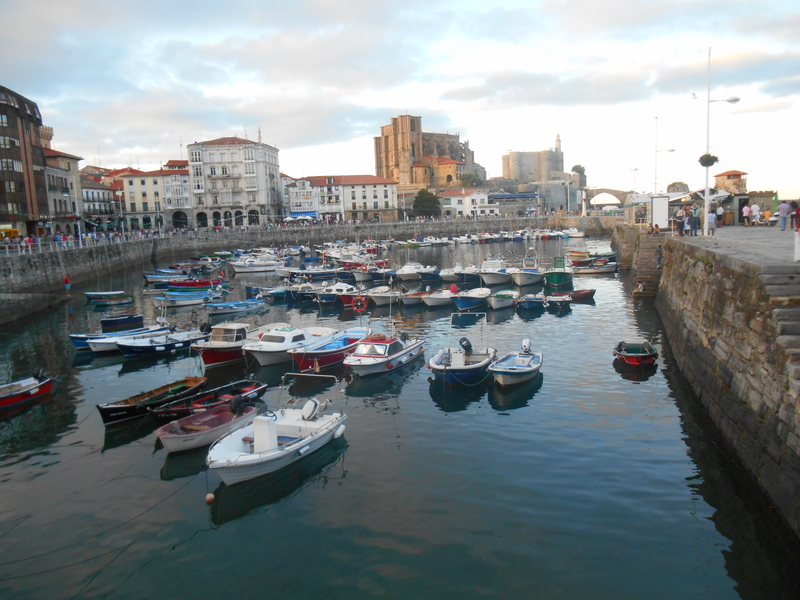 These are all beautiful towns in and around the beach and the Cantabrian sea. 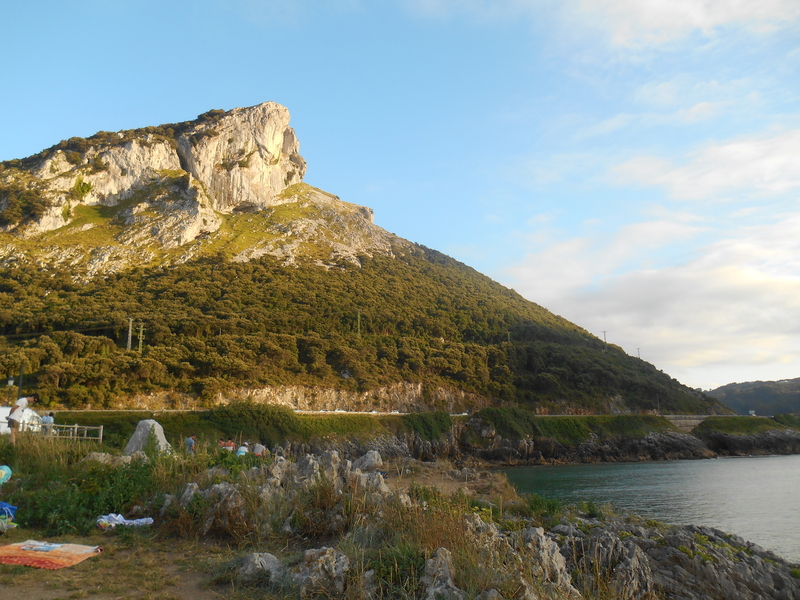 What’s really nice is that it is only about a 30-40 minute drive from Bilbao. It’s always nice to get away even if only for a short while. August has truly been an amazing month full of great friends, beautiful sites, wonderful experiences and above all the blessing from Jehovah that makes one rich! We wish you all a wonderful service year and we can’t wait to see what’s in store! 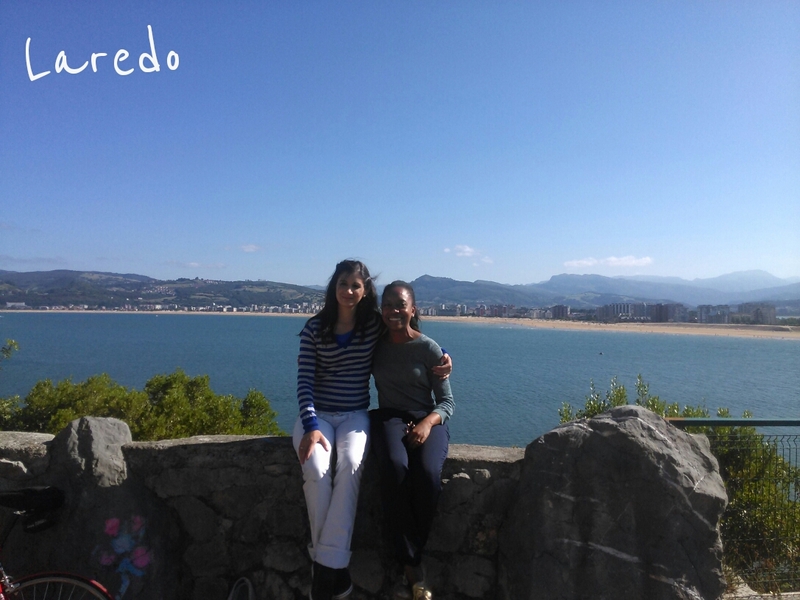 Next PostCelebrating ONE YEAR in Spain!